Capt. Per Jonasson (right) specializes in barn-door 'buts for aficionados like Accurate Reels' Ben Secrest (middle). Word association: "big halibut" and "location." What comes to mind? Alaska, of course (arid/or British Columbia, Washington and Oregon). Guess what? 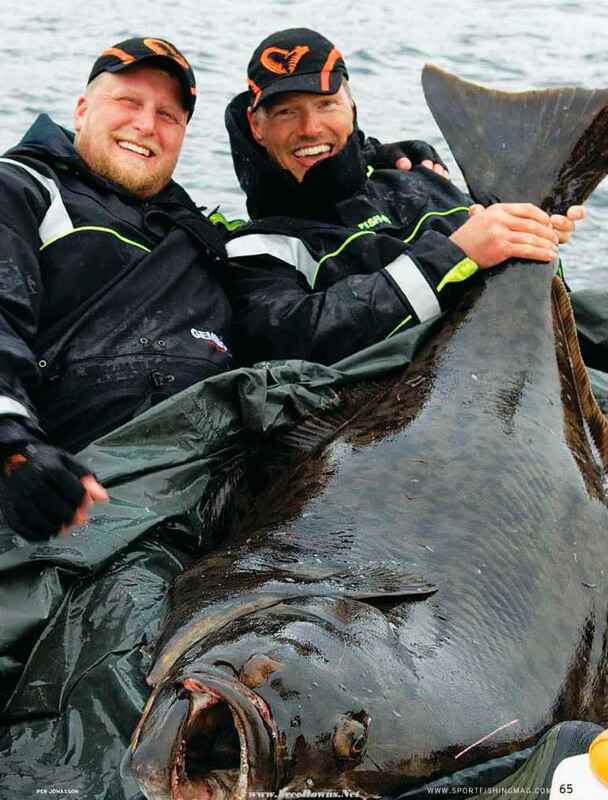 The Atlantic has its own monster halibut, though few anglers realize it. And fishing for these enormous flounder entails some fascinating differences from the familiar halibut fishery along our Pacific Coast. For years, I've been vaguely aware that Atlantic halibut could be caught around Norway, but I figuied that mtist lie a limited, commercial fishery. During a trip I made last summer to Tromso — above the Arctic Circle on Norway's rugged northern coast — I experienced halibut fishing in a whole different light. A year earlier, reports of a new alltackle world record for the species, weighing 444 pounds, had certainly sparked the interest of this veteran Pacific halibut angler. It seems that a Swedish guide, Per Jonasson, had put Danish angler Sdten Beck on the enormous flatfish along the Norway coast. It wasn't, pun notwithstanding, a fluke; in fact, a few months later, Jonasson released another halibut estimated at well over 400 pounds near Tromso. I began exchanging e-mails with the enthusiastic guide who seemed to have the fishing for big 'buts dialed in, and I soon had made plans to check it out. Last July, I did, joined by fishing partner/spousal unit, Jackie, and two other Pacific halibut pros: Washington-based John Beath (www.halibut .net) and Califomian Ben Secrest of Accurate Fishing Products. Among us we had fished halibut off Alaska, British Columbia and points south for years and caught: dozens of big flatties. Given that, we were eager to compare this new7 fishery for the Atlantic species. We were all used to dropping heavy lead weights or jigs into waters ranging commonly to 400 or more feet for halibut. So even though we understood we'd be fishing shallow7, seeing the bottom clearly on our first drift in quiet, protected waters surrounded by high, rocky slopes surprised us. We lowered Swedish-made Savagegear Cutbait Herring swimbaits with 10-inch tails (www.savage-gear,com) into the moderate current, and the 1-pound jigs easily hit bottom, all of 35 feet below us. 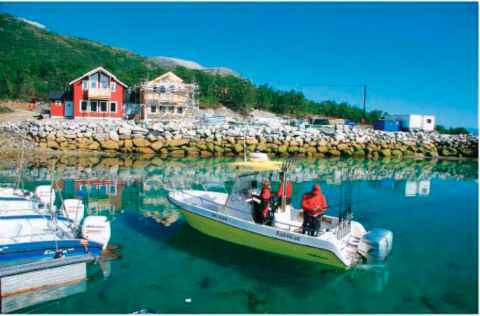 From the waterfront house that Jonasson provides for his anglers, we'd inn an hour mostly in sheltered waterways snaking among islands to the first stop north of Tromso — one of dozens of such spots in die guide's GPS. 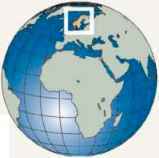 WHERE: Tromso, Norway (population 65,000), is located about 200 miles above the Arctic Circle, about a two-hour flight from Oslo. HOW: Many major U.S. and Internationa! air carriers offer regular flights into Oslo. Try to schedule some days in Oslo and see other parts of Norway (take advantage of Its nifty trains), but do be aware that (1) it's a pricey city and (2) if you don't fly directly to Tromsd from the States but stay a night or more in Oslo, you lose your International (economy-class) allowance for two 50-pound checked bags: SAS will allow you just 44 pounds on domestic flights and charge you a bundle for every kilogram you're over. Once in Tromso, Jonasson will meet you at the airport and drive you to the house where you'll stay. We stayed at a lovely new guesthouse right on the water, but that location meant an hour or so run to the fishing grounds; Jonasson is looking this season for a house where he and his guests can stay that will be within minutes of the best fishing area. 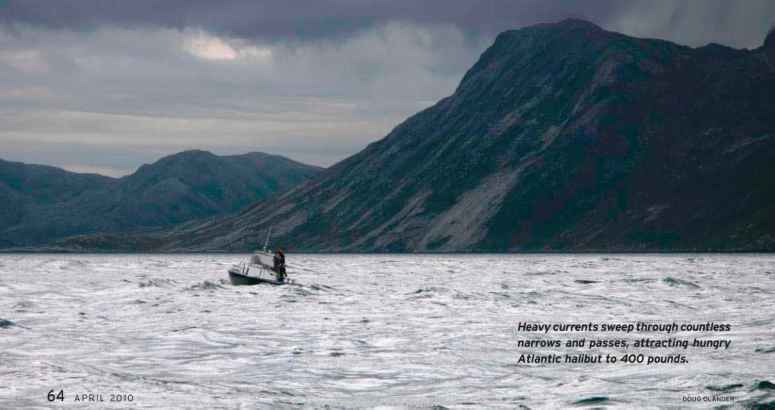 WHEN: You could catch halibut around Tromso just about any month of the year; however, if you want to fish the Norwegian Sea in the dark, freezing days of the Arctic winter, you're more gung-ho than I. In fact, July and August offer the best chances of clear, calm days — with highs in the 60s and even warmer at times. June is iffler but has been an outstanding month for big fish. 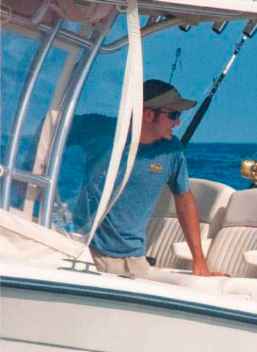 (And the guide notes that weather seldom shuts him down, with so many protected/lee shores to fish.) Jonasson begins fishing halibut in May and continues through September. WHAT TO BRING: All the usual stuff, certainly including a good camera. Also, you might want a sleep mask; midnight in July is as bright as late afternoon back home. As for tackle, more than many operations I've fished, I can honestly say you don't need to bring much because Jonasson's gear is top-notch and kept in great shape. He fishes new Accurate reels with 50-pound Tuf-Line and has plenty of proven swimbaits (that he's helped design). That said, any lures you like for halibut in the Pacific Northwest may be worth packing, just for fun. But keep in mind that you'll mostly be fishing in just 20 to 60 feet of water. Jonasson provides $300 "dry suits" to fit most guests, large or small; these are relatively warm and absolutely waterproof — and include deck boots, so you can leave those heavy clunkers at home. Still, a warm jacket and layers aplenty are always advisable. WHO: Capt. Per Jonasson, a certified Norwegian Deck Officer Class VII, is a fulltime fishing guide. His 23-foot center-console shows Jonasson to be a great believer in redundancy: Besides radar, the boat carries two VHF radios, two GPS plotters, two mobile phones and two depth sounders. It's also powered by twin Honda 90s. Though he's fly-fished from Australia to Alaska, Jonasson has spent the past 15 years fishing Norway, managing to take (mostly return) clients out 240 days a year. His specialty and obsession are, of course, trophy halibut. CONTACT INFORMATION: Per Jonasson — www.flsh4u.se. 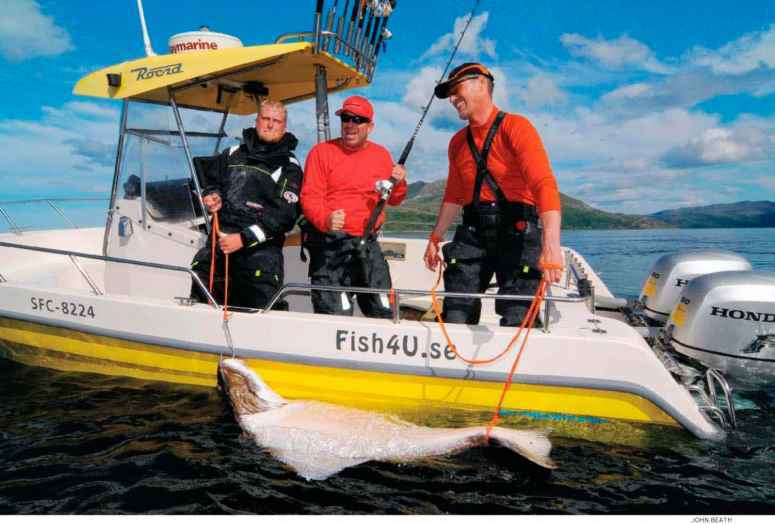 You can also get information on Jonasson's operation and other Norway saltwater sport fishing at www.nordic-sea-angling.se. Jonasson arranges accommodations; on our trip, we stayed in a new and fully equipped two-story house, courtesy of www.arctic -sea-mountain.com. You can find general information on visiting Norway at www.visit norway.com. Within the first couple of drifts, I hooked the initial halibut of the trip when it couldn't pass up a white Z-man Pad diet ail lure. As I was working on that fish, I heard Secrest grunt and from tile corner of my eye saw him hard against the rail, his rod now doubled over. Clearly, he'd hooked something far bigger. By tile time we'd released my 40- to 50-pounder, Secrest had done a 360 around the boat, following his fish, with the drag nearly maxed down on 50-pound braid. The powerful fish had showed absolutely no signs of slowing when the hook simply let loose. That fish certainly could have been 200 or 300 pounds or more. Big flatfish do seem to be surprisingly abundant in these waters. Secrest's brief bout gave us our first real taste of how these large Atlantic halibut fight: hard, When it comes to speed and power after hookup, we all agreed that the Atlantic halibut seems a different animal than the Pacific version, proving much tougher. That may be in part because we hooked them in relatively shallow water — typically 25 to 45 feet. But even those we hooked in more than 70 feet fought similarly. Jonasson and group head out, leaving the guesthouse (background) under an already high and brilliant sun at 7 a.m.
Not the norm: Jonasson releases the halibut brought to his boat, like this 60-pounder that took a biq swimbait. lure also didn't quite jibe with our halibut-fishing experience. 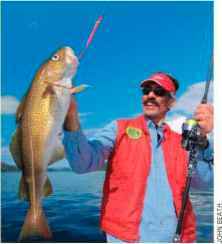 "Watch out when you reel up your lures because halibut will follow them to the boat," he said, "just drop back down quickly if they do." After a few days pursuing monstrous flatties, some light-tackle fun for other fish like Atlantic cod may be in order. (one of them, in fact, Soren Beck), fishing near lis most of that second day in a smaller center-con sole. "Peter [Lichtenbergl was reeling tip," Beck says. Tie felt a slight take and thought it was a cod. 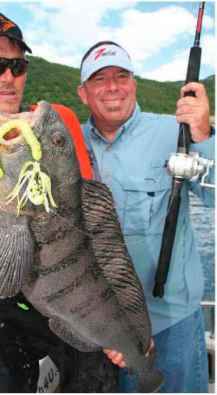 As Peter reeled in, the fish showed itself by the boat, and we could see how big it was." The halibut spooked boat-side and bolted away with such explosive power that its big tail sprayed water into the boat's cockpit. "Peter quickly let his jig down about halfway — it was nearly 45 feet deep. He jigged it twice and the halibut grabbed the lute!" and the fight was on. Ultimately, tlie pair managed to tape the fish and estimate it at about 160 pounds. Not surprisingly, halibut are considered food fish in Norway. The lines between fishing for fun, food ant I profit are pretty indistinct; in fact, residents can keep or sell their fish, however they're caught (and most are still caught on hand lines). Not many Norwegian halibut (generally smaller fish) brought to an angler's boat ever see their freedom, to be sure. Jonasson began targeting halibut in Tromso a couple of years ago. He's apparently the only full-time halibut guide in Norway, and his operation is an anomaly since clients release 100 percent of large halibut, keeping only an occasional small one for food. 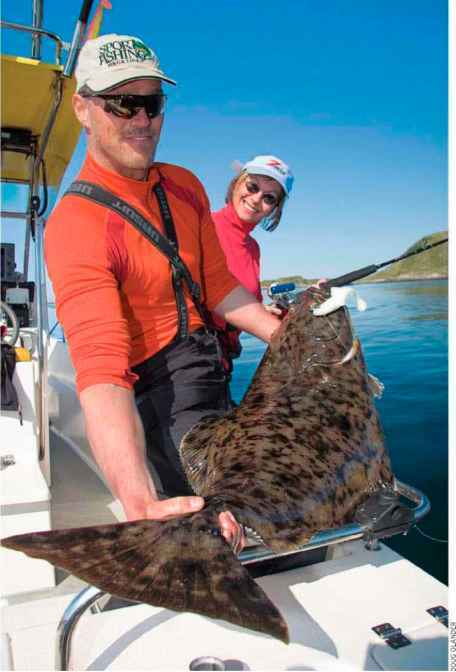 And they do it gladly: Jonasson has built a clientele of trophy hunters, looking to conquer, not kill, huge halibut. Using a huge sling, the guide quickly tapes and photographs fish, and if not more than 150 pounds, he weighs them in the sling. Then — working in conjunction with the Norwegian Institute of Marine Research — jonasson inserts a dart tag before release. "The institute does tig fish, but I'm the only one tagging really big ones," Jonasson observes. An angler vanquishing a large fish can document the catch to his heart's content after jonasson tows the fish to a nearby beach (keep in mind that most catches occur very close to shore ) for photos. pursuit of trophy halibut, it's really even more than that. Consider the length of fishing days — typically a good 10 hours, but if die client has the desire, Jonasson will fish considerably longer. And of course, during the Arctic summer, there is no darkness. From May through much of August, you can be fishing in bright light at midnight. Indeed, "the Danes," as we referred to Beck and iJchtenberg. often returned to the dock at 1 a.m. or later (yet by 7 a.m. they w-ere back for another go!). By day three, that trophy-size halibut had eluded us. "Trophy" is, of course, a loaded term. For Jonasson, that generally means any fish clearly tipping the scale at three figures. By mid-July of that season, Jonasson had landed two halibut of around 200 pounds and was looking for one 300-plus. In fact, not long before we'd arrived, he'd hooked a fish that he knew had to be 300 and possibly much, much larger. But they're tough customers, and that one dicliVt stay buttoned. Three weeks later, though, he did release one above the 300 mark. Beware the immensely powerful jaws of the aptly named wolffish that lurk among rocks in these depths. that devotees are passionate. Some might say fanatic — as, for example, when describing the two Swedish anglers who arrived the day we left. They flew in for 13 straight, solid days of halibut fishing. "And that's their third trip this season," Jonasson laughs. "Plus, they have one more trip booked for next month!" U.S. Northeast coast through the North Atlantic, including Greenland and Iceland to northern Europe and into the Baltic Sea. Evidence of recreational-flshing Interest In the species comes from John Beath; on his website, www .hallbut.net, orders for halibut gear from Europe In general have been Increasing. "i've had several orders this year from Latvia," Beath says, for Baltic Sea halibut, as well as Norway, of course, and Greenland. One of the monsters of the fish world, this flounder reaches at least 600 to 700 pounds and prefers depths ranging from 150 feet to more than 6,000. At one time, the huge fish were wonderfully abundant in our own waters (such as Massachusetts Bay), with commercial boats routinely bringing In tens of thousands of pounds in a day or two of fishing during the 19th century. But it's a too-familiar story: Without sufficient regulation, overfishing resulted in a collapse of western Atlantic stocks, and they've never recovered. morning. Given a slow- pace, the guide himself grabbed a rig and demonstrated his luck or (more likely) prowess since it wasn't long before we were all cranking in to give him space to duke it out with a fish as the little Accurate 197 reluctantly gave up heavy braid. The big, strapping skipper had pushed the drag to its absolute max — enough drag to pin the powerful Jonasson against the rail more than once. 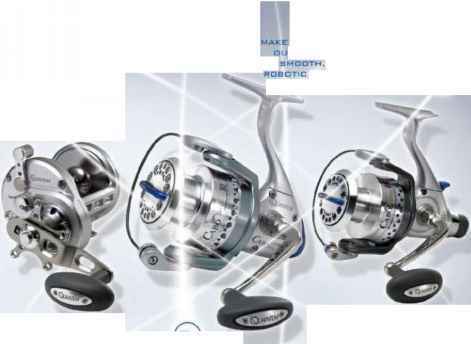 Seeing a reel the size of a freshwater baiteaster take such abuse offered a convincing testament to the quality of modern high-end lever-drags. Everything held together, and the big halibut taped out at just about 200 pounds —- a trophy by any measure. If, despite the excitement of fishing for Atlantic halibut, you're jonesing for some variety, Jonasson will pursue other game fish. Unlike Alaska, Norway doesn't offer lingcod (which, in fact, are unique to the North Pacific), yellow eye rocklish or cabezon. But we tiki spend much of one day pursuing three significant "other" species — coaifish (as pollock are called here — fast, tough, schooling m id water predators), Atlantic cod and wolffish. We caught them all. but we never did get into any 20- to 30-pound coalies like we had hoped. Wolffish, as Jonasson says, fight like a wet towel; nevertheless, they're impressive beasts with a malicious disposition and a body (very tasty, by the way) that seems to be one very large, very powerful muscle. And you definitely do not want to let any part of your body you value get anywhere near a wolffistvs mouth. Dolphin dominate south Florida waters. They're sought after in tournaments and comprise the local angler's annual summer staple. But believe it or not, south Florida's era of dolphin supremacy actually waned in the mid-2000s. Federal statistics show catches of dolphin from North Carolina began eclipsing those from the Atlantic coast of the Sunsl line State from 2005 through 2007. "I think several factors affected that change," says Don Hammond, who heads the Dqiphinflsh Research Program. 'The growth in the North Carolina offshore fishery was spurred by the growth of the economy and the small-boat fleet during that period." Florida had already become saturated with small boats, but North Carolina's fleet exploded in the mid-2000s, Hammond explains, in addition. Florida (and Georgia) implemented a 20-inch fork-length minimum for federal waters beginning in 200-1, meaning anglers likely released more fish. 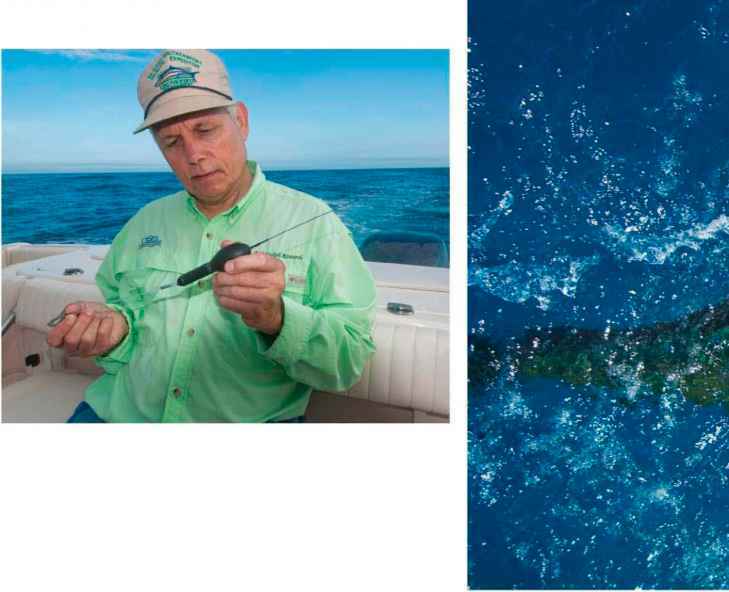 Marine biologist Don Hammond, who heads the Dolphin fish Research Program, compared recreational fishing statistics from Florida and North Carolina from the 1990s and 2000s. in the '90s, eastern Florida averaged twice the number of fish harvested as North Carolina. From 2000 to 2004, Florida's dominance began to fall; the state's east-coast anglers harvested 62 percent more dolphin. Beginning in 2005, North Carolina surpassed Florida, catching almost 700,000 dolphin compared to just more than 400.000 for eastern Florida. The numbers evened out a bit In 2006 and 2007, but North Carolina remained ahead, in 2008, however, as the economy slid, so did North Carolina's catch rate. 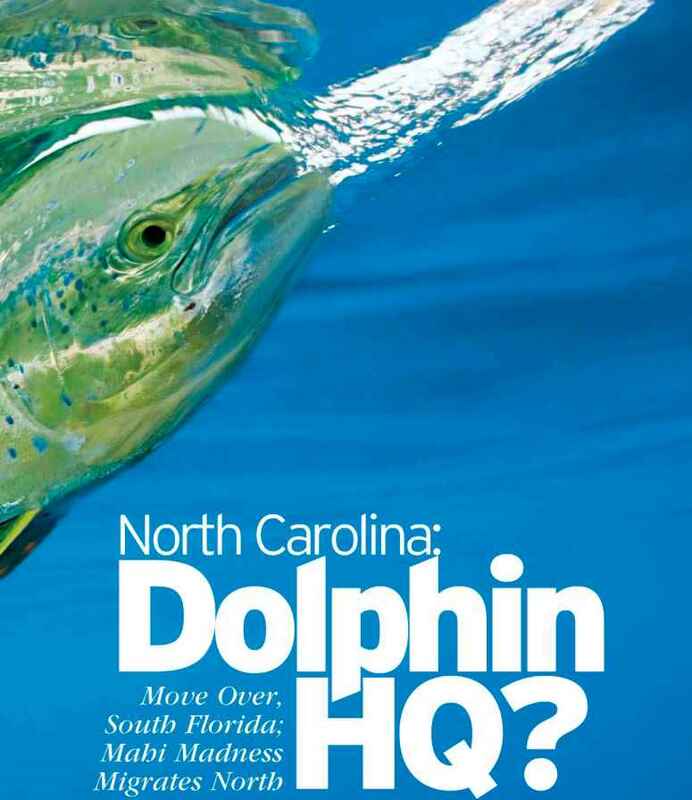 That year, NC anglers caught 380,000 dolphin (down 37 percent) to eastern Florida's 665,000 (an increase of 16 percent over the previous year). Dolphin recaptured by North Carolina anglers from 2002 through 2009 were fagged off south Florida, South Carolina and the Bahamas. 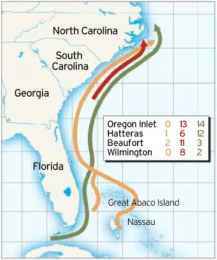 The colored arrows and their corresponding colored numbers show the migration routes and numbers of dolphin captured off various Carolina ports. due to the greater distance offshore Tarheel anglers must travel. Assuming some cautious economic optimism for 2010, North Carolina and south Florida could again be neck and neck this summer vying for top-dolphin honors. To take a better look at this unsung location, I embarked on a dolphin-tagging trip last June with Hammond and top Carolina tagger Jim Hardin, from Grady-White Boats. A bright-orange dawn and temperatures in die high 60s started otir first dolphin day as we ran out of Morehead City on a mid-June morning. Donning a light jacket, I thought to myself, This is definitely not Florida. Hardin leaned on the throttles of the Grady-White 330 Express as we sped south out of the Beaufort Inlet into a calm sea. We faced a 25- to 30-mile inn, which was yet another hint that we were nowhere near Palm Beach. Strokin'! During the mid-2000s. North Carolina anglers caught more dolphin than south Floridians, according to federal statistics. system of ocean currents — sets up just south of Hatteras on the inshore edge of the Gulf Stream, Hammond says. It lasts most of the summer and concentrates bait, keeping dolphin in the area. Hardin pulled up at the No. 14 buoy near what locals call the 90-foot drop. Our crew prepared six lines, using four Tiagra 50 wides and two 11,D 25s with 6 to 8 feet of 80- to 100 pound mono leaders. Clearly we had hopes for bull dolphin, and we intended to catch and release them quickly. Fresh dead ballyhoo trick Tarheel dolphin during prime spring and summer months. Remove eyes, break beaks and limber the baits' backbones for best results. — burning a hole in his pocket, and we needed a 25 plus pounder to till the bill. The electronic tag records information while it's attached to the fish, then pops off and floats to the surface at a preset time. Once at the surface, the tag transmits its data using satellites. Hardin had rigged fresh dead ballyhoo behind Sea Witches and Ilanders to deploy from four outrigger lines and two flat lines. He prepped the baits by popping out their eyes, breaking their beaks and limbering up iheir backbones. He ran a squid daisy chain off a short starboard rod, placing a hook in the final bait to snag school ies. Federal statistics show catches of dolphin from North Carolina began eclipsing those from the Atlantic coast of the Sunsl line State from 2005 through 2007. "I think several factors affected that change," says Don Hammond, who heads the Dqiphinffsh Research Program. The growth in the North Carolina offshore fishery was spurred by the growth of the economy and the small-boat fleet during that period." Florida had already become saturated with small boats, but North Carolina's fleet exploded in the mid-2000s, Hammond explains, in addition. Florida (and Georgia) implemented a 20-inch fork-length minimum for federal waters beginning in 200-i, meaning anglers likely released more fish. A bright-orange dawn and temperatures in the high 60s started our first dolphin day as we ran out of Morehead City on a mid-June morning. Donning a light jacket, I thought to myself, This is definitely not Florida. Hardin leaned on the throttles of the Grady-White 330 Express as we sped south out of the Beaufort Inlet into a calm sea. We faced a 25- to 30-mile run, which was yet another hint that we were nowhere near Palm Beach. system of ocean currents — sets up just south of Hatteras on the inshore edge of the Gulf Stream, Hammond says. 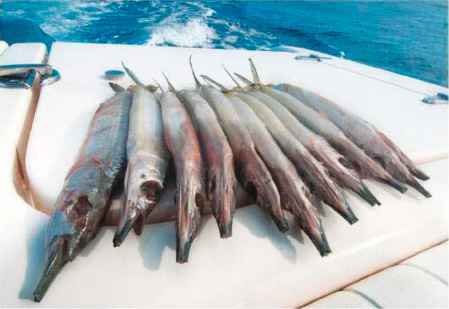 It lasts most of the summer and concent rates bait, keeping dolphin in the area. Hardin pulled up at the No. 14 buoy near what locals call the 90-foot drop. Our crew prepared six lines, using four Tiagra 50 wides and two D 25s with 6 to 8 feet of 80- to 100 pound mono leaders. Clearly we had hopes for bull dolphin, and we intended to catch ant! release them quickly. Dolphinfish Research Program head Don Hammond inspects a pop-off satellite archival tag he had hoped to pin on a 2S-plus -pound bull. picking off the baits. But we saw no massive groups of fish. Our buddy boat hooked an 8-pounder, and then Hammond caught and released a 27-inch cow. Hardin prospected the contours on tlie bathymetric map, trolling 7 to 8 mph and keeping in dose touch with nearby boats. Chopped-up weed lines littered the 80-degree water. Our buddy boat radioed a nice bull in the spread, but it failed to eat. That crew had wandered out a bit deeper — to 130 feet — and soon hooked up to a nice fish. We could hear shouting and yelling across the still, open water as the fish made its aerial assaults. Unfortunately, the cow came in at about 20 pounds, slightly smaller than needed. Hammond tagged all dolphin caught aboard our vessel with standard, plastic streamer tags, recording the tag number and the fish's length. 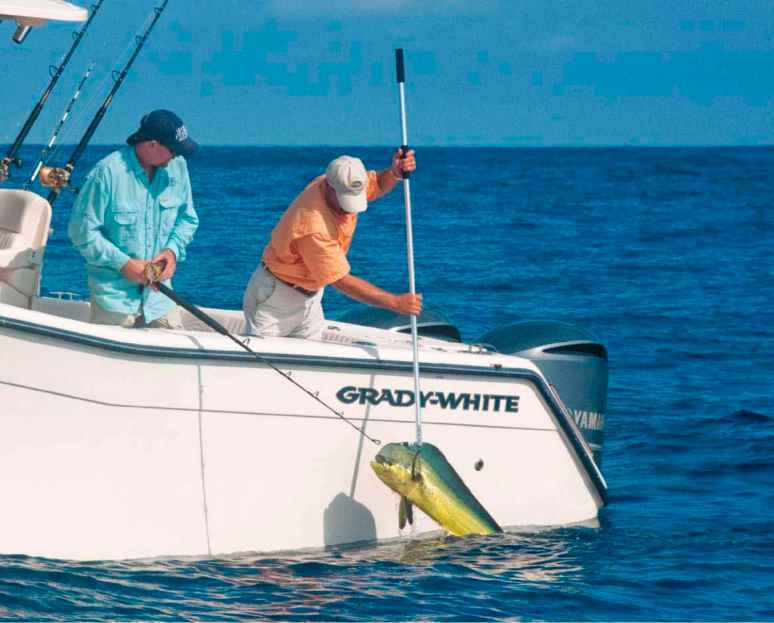 If that fish is caught elsewhere, the angler can most easily report its tag by going online to a website address printed on the plastic, Hardin kept working the boat farther offshore. In 300 feet of water, w-e saw loads of tlying fish and made several passes through their midst without so much as a sniff. Midmorning we ran back inshore to check out some radio-chatter claims of dolphin in 140 feet of water. Within a half-hour, our buddies boated a 15 pounder and we picked up a peanut. 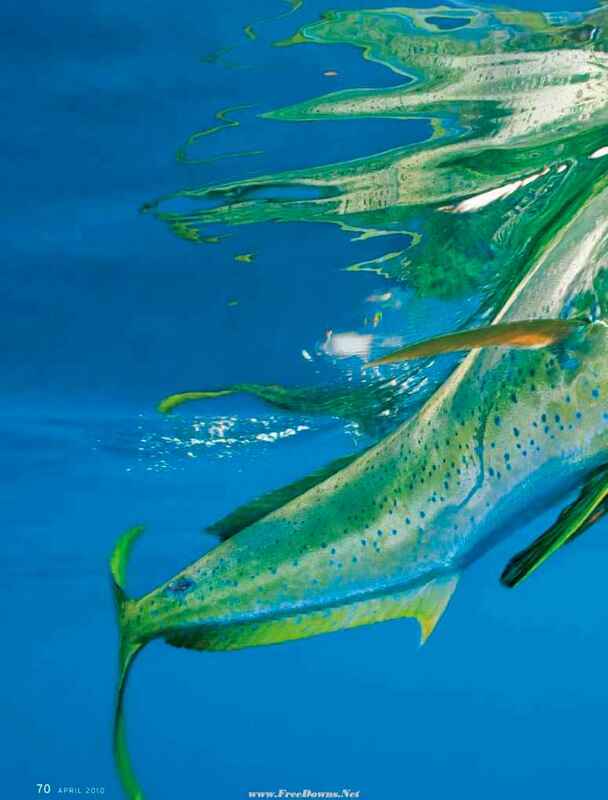 Though this mahi may not measure up for an electronic tag, it still warrants a streamer. When the fish is recaptured, data collected may help researchers. school. First to the action, our buddy boat hooked a gaffer. As we sat idle, photographing that fish, a similar teenager slammed one of our sinking baits. The action had proved hot all day, but the tagger remained elusive. 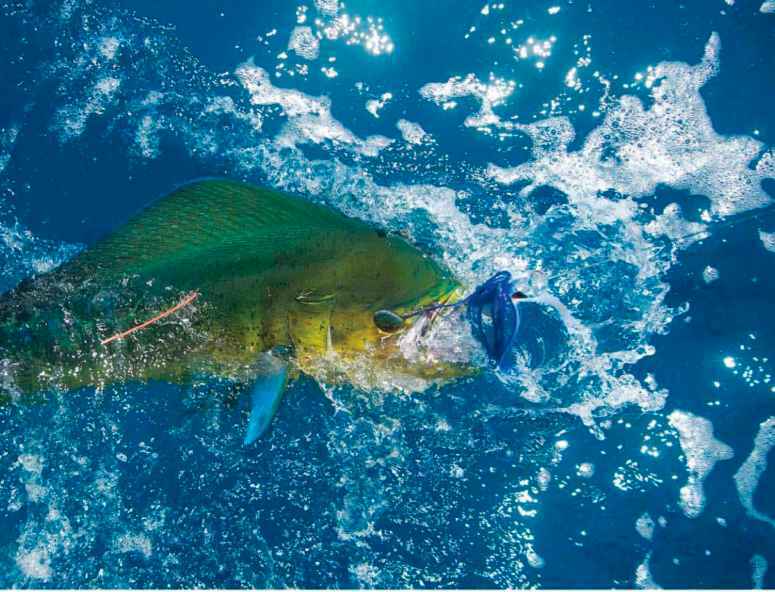 The Dolphinfish Research Program is made possible by a grant from Marine Ventures Foundation, an organization that funds projects helping to ensure healthy fish populations. DRP also relies on donations from anglers and fishing organizations. The program's founder, Don Hammond, began formal studies of dolphin — considered one of the most economically Important game fish in the world — in 2002 when he worked for the South Carolina Department of Natural Resources. In 2006, the study became a private research program. More than 1,300 anglers aboard 460 boats have tagged more than 11,000 dolphin as of January 2010. The program invites anglers to tag dolphin and provides starter kits. For more information, contact Hammond at Cooperative Science Services in Charleston, South Carolina, at 843-795-7524, or visit www.dolphintagging.com. For more information about visiting North Carolina to fish, visit www.crystalcoastnc.org,www.outerbanks.org and www.visitnc.com. Unwilling to leave the multi-thousand-dollar tag unused, we ran offshore a second day, though without our buddy boat. Rig Rock Blue Marliri Tournament boats blew through the inlet, heading to the Gulf Stream. Clouds hovered over the coast, but the sun was already warming the offshore waters. Fifteen minutes after lines in, we hooked a 15 pounder on a blue-and-white Ilander/ballyhoo combo. We had started at the No. 14 buoy, heading southeast. More radio chatter claimed a hot bite just outside the 90-foot drop where the water was warmer, We registered 77 degrees at our location, so 80 sounded prime. The chopped up w-eed lines remained a factor as Hardin routinely hauled in baits to clear debris. And again, he pulled bathy charts to inspect zones where contour lines converged to form sharper drops. Those areas often hold more bait and fish. By midday, Hardin changed tactics, dropping lures such as Mold Craft Softheads and a Williamson goggle-eye, to troll more quickly and cover more ground. As we headed back to the No. 14 buoy, we found a school of spotted dolphin — the mammals — and instantly scored a doubleheader of dolphinfish. Again, our catch weighed in below the magic number. Most of North Carolina's dolphin-fish landings occur between Mo re head City/Atlantic Beach and Oregon Inlet, the central part of the state's 300-mile-long coast, Florida's Atlantic dolphin landings primarily occur from the Keys to Stuart, the southern part of the state's 580-mile east coast. Finally, in the early afternoon, as the sun baked the deck — yes, it truly was late spring — a big fish convulsed the port long-rigger rod. The rod danced in the holder as the fish worked the drag. I looked at the tag, making sure it remained handy in case this monster came up green, blue and gold. But before it showed itself, it pulled the hook. "I hate not knowing what that was," Hammond said, shaking his head, "There's no roughness on the leader either." Though we felt a bit let down, we consoled ourselves with the knowledge that we did catch more than a dozen dolphin in two days. Had we kept all the fish, our larder would be full. Hammond tagged eight dolphin and released them for research. Tile 2010 Presidential Challenge Conservation Series kicks oil" in the central Pacific billfishing hot spot of Carrillo, Costa Rica, on March 5, with anglers arriving from the four corners of the sport-fishing world for a shot at being named series champion. From there, the competition for the Costa Del Mar grand champion team and the Eagle Claw grand champion angler moves to the island nation of Aruba for the first annual Aniba Caribbean Cup presented by Amba Tourist Authority. The conclusion of the Presidential Challenge Conservation Series then moves to Guatemala where the champions will be crowned. Awards are presented to top anglers and teams at each event as well as to the overall series winners. Series are dedicated to the conservation of billfish. 'litis not-for-profit tournament raises money for billfish conservation around the world. The 2010 events will benefit The Billfish foundation projects in Costa Rica as well as the Adopt-A-Billfish White Marlin Tagging Program in the mid-Atlantic and Venezuela. Contact Joan Vernon at [email protected], or visit www.preschallenge.com. The Yamaha Contender Miami Billfish Tournament, the premier billfish and fun-fish tournament of the year, was established more than a quarter-century ago and has since donated more than S630,000 to marine enhancement and education programs in south Florida. In 2009, the fleet released a record-breaking 645 sailfish in m days, but when it was all said and done, Team Jichi placed first and took home S106,711. The YCMBT has plenty to offer both spectators and participants, with more than $217,000 in cash, plus valuable prizes and trophies, along with $5,000 in cash for heaviest dolphin and kingfish. Anglers can compete in divisions that include billfish release, fun fish, ladies, junior and peewee. New for 2010. the YCMBT will host a One Day Blast mini tournament. This is designed for the offshore angler who warns to take part in the weekend festivities but may not be able to compete for the full three days. This, along with free and open daily dockside parties, makes this a dorit-miss event.